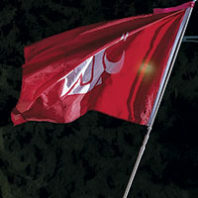 Many signs display Cougar pride on the way to Pullman, but only one stands 27 feet high and 400 feet long. The “Go Cougs” shed 12 miles east of Othello on Highway 26 was created in 1998 by Coug brothers Orman and Gavin Johnson. “We needed to build a potato storage,” Orman says. Skillfully sidestepping the busy wait staff, Mylene Barizo circulates among the 100 diners attending the Cougar Etiquette Dinner in the Todd Hall atrium. She stops, chats casually with student-athletes seated around tables for eight, then moves on. Members of the athletic department, other University units, and Pullman community leaders are table hosts. Barizo encourages questions, offers advice. Trying to catch people between bites is tricky. The three-course meal includes grilled Coho salmon, mai-fun noodle lace, oven-roasted game hen, garlic potato puree, and sautéed seasonal vegetables. Dessert is raspberry sorbet. It’s one of those quintessential late-summer days in Seattle. Clear in the morning, warm, gathering clouds by late afternoon, the air heavy and muggy. The tourists are tired, making their way back to the hotel for an early dinner. It is Friday, rush hour, and the Cougar Marching Band, full 250 strong, is playing the fight song on the terrace in front of Westlake Center. Philipp Schmitt fashioned this elaborate Cougar Country corn maze on 14 acres east of Spokane near Liberty Lake last October. Each fall for the past five years, he’s used global positioning-coordinates beamed by satellite-to figure out where to plant the corn. Last year, he opted for the cougar-head logo, and relied on hand mapping to get all the details, including the whiskers, just right. 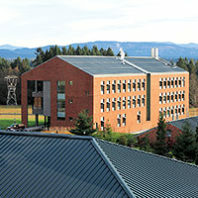 The Pasco farmer attended Washington State University for five semesters from1994 to 1998. After roughly 45 years, S.J. “Bill” Monro’s prized Cougar has a new home. The longtime San Francisco restaurateur donated the stuffed animal to the Washington State University chapter of Sigma Nu Fraternity. His wife, Barbara, discovered the specimen among a number of stuffed Northwest animals on auction in San Francisco nearly a half-century ago. She purchased the five-foot long, 300-pound cat as a gift for her husband. It has occupied a prominent spot in the “Cougar Room” of the family home. “It should be a good conversation piece for the Sigma Nus,” he says.